The Imperial Household Agency has announced the name of Japan’s new era which will begin on May 1. The new era name has been revealed as ‘Pen Pineapple Apple Pen’. “We were conflicted between ‘Pen Pineapple Apple Pen’ and ‘Pen Pineapple Apple Pen Gateway’,” says Imperial Household spokesman Shinji Suzuki. 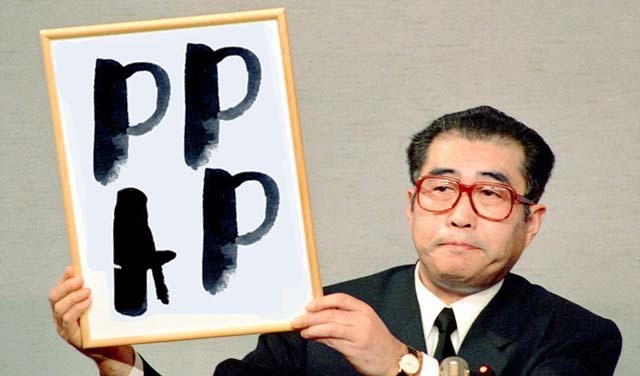 The Imperial Household released a statement saying era PPAP will “help our children speak more proficient English”. “Within a few years they should be able to fluently say, ‘This is a pen’,” the statement says. The new emperor, Crown Prince Naruhito, will perform PPAP at the abdication ceremony on May 1.